The Justin Bieber All Around the World video is the most perfectly done music video masterpiece I have ever seen and that has ever been created in the history of music and music video making. I can not imagine not loving this video at any point in the future. It is amazing. I honestly think I can watch it a thousand times without being tired of it. The video shows a mash-up of concert footage from world tour and his performances of the song at various venues all around the world. The angle is also of the tour from his point of view, not the audience point of view which makes it even cooler and more personal in my opinion. That’s why I love watching it so much. It’s like seeing and hearing Justin Bieber explain something directly to me. It feels really personal and makes me love him even more because I feel like I know him better than ever. I think people forget the art that goes into making music videos. Everyone is so obsessed with giant explosions and transforming car robot things from space on TV that they forget that perfect connection created when music meets visual. How it can take you away from all of the crazy stuff in your actual world. It’s perfect for people who don’t have time to waste three hours in a movie theater. Music videos will hopefully never go away because these four-minute little escapes help all of us feel closer to our idols. They also help to expose us all to new dance moves that can go with our favorite songs and favorite our favorite artists. Choreography is a lost art that Justin Bieber is clearly trying to save. Justin Bieber also takes the time in this video to show us all of the amazingly beautiful places he’s visited from, well obviously, all around the world. He shows us Big Ben, which I think England is trying to rename, but since they just made it legal for royal daughters to have the same birthright to the crown as sons, something tells me that the change might take awhile. Anyway, the Eiffel Tower also pops up in the video and totally made me think of how awesome it would be to spend the night in Paris with Justin Bieber and how it would be the greatest experience of my entire life. But then I realized how crazy some of the girls in the video look. Like, would I be that crazy if it were me? I can not say yes, and I can not say no at this point. I did wonder, though. At the same time, how lucky are these girls that they are actually in a Justin Bieber music video. That is just awesome. I would claim that little piece of fame forever. Then again, I don’t know if I would want to admit that I was the girl who climbed the tree, or the one who ran alongside of his car in the middle of the street. 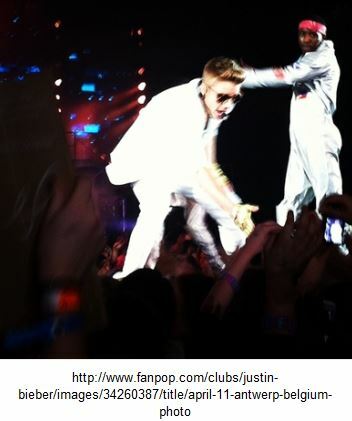 Although Justin Bieber has plenty of support from his fans, he also deserves a little bit of support from his critics. 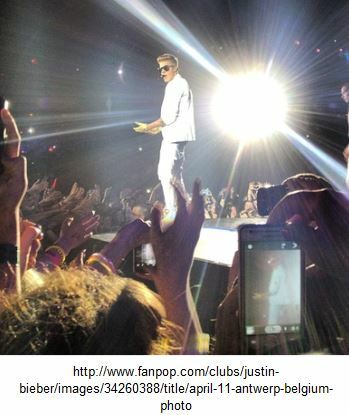 Although they don’t like him as much as us ‘beliebers’ do, they should respect him for what he has accomplished. Justin Bieber started his music career when he was just 14 years old. Now he is worth more money than anyone can dream of and has over 37 million followers on twitter. That’s more followers than some religions in the world! It seems like many people in the world are starting to believe Justin Bieber is heading towards a free fall. From being late for shows to vomiting on stage, people are beginning to believe that all these mishaps by Justin are leading up to something bigger. Let’s hope not. Justin is the most successful pop star in the world right now, and if he starts to spiral downward it’s going to be very hard to come back. Many people are rooting for Justin to fall. These people are very jealous of his fame and success and wish nothing but bad things to happen to Justin. Why? Why do people with harm on others? Especially a famous and loved celebrity like Justin Bieber? Justin is a great person and does not deserve any harm. He also does not deserve the disrespect he gets from the media and some people. People need to stop focusing on the negative about Justin and start focusing on the positive. 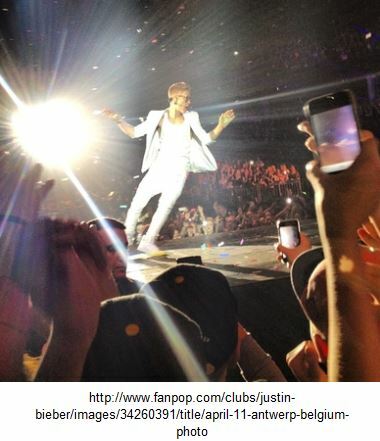 So what if Justin had a few mishaps on his last tour doesn’t everybody? Why is it only when Justin messes up for a second everybody jumps on him? You don’t see that with other celebrities. As of late, the tabloids don’t favor Justin. They are all making him look worse than the news actually is. Why don’t they start writing about great things about Justin? They should write about how he is a bigger fan of his fans than they are fans of him. They also should write about how much he cares about his family and helping other people. That’s what really matters. They shouldn’t focus on writing about his negatives. Everybody has their negatives. I wish someone would come out and write about all the negatives of these tabloid writers themselves. Someone should get involved in the personal lives of these tabloid writers and find some beef on them, then air it out to the whole world. That’s what these writers need; a reality check. If someone would come in and criticize their personal lives, it would give them a little taste of their own medicine. Anyway, the bottom line is that people need to get off Justin’s back and need to start saying some positive things about him. There are plenty of positive things to say about Justin, it’s just that people like to focus on the little bad that there is. I am just tired. I’m just tired of seeing my Justin go through all of this. Its just not fair. Everyone is wrong. They are all wrong about the things they say about him. He does nothing wrong and he’s done nothing wrong before. It’s all just lies and I can’t take it anymore. 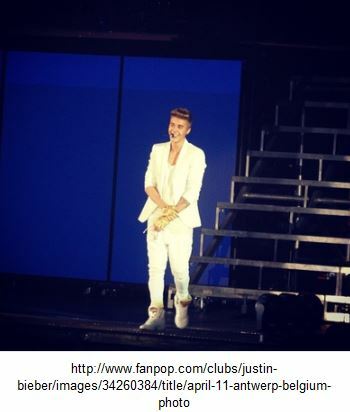 People just follow him wherever he goes just so they can say something bad about what he does. He’s just a normal person like me! Everyone needs a break. My Justin is working so hard and he never gets a chance to just be himself. Whenever he tries to have any fun, there are all these people chasing him and being so mean to him. 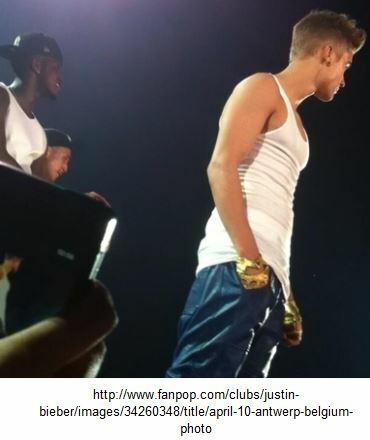 Even when he is singing and performing, there are still people troubling him for no reason. He never has any freedom! We all need a break but Justin never gets one at all. He’s working so hard trying to make his fans happy and he never gets anything good said about him. Like, how can people be so mean to him! It just makes no sense because I know my Justin and he is a good person. Justin I got your back even if everyone else doesn’t. I love you Justin! I follow him on twitter, instagram, facebook and everything else. He is working so hard all around the world. My Justin just needs a vacation far far far away from all the news people that chase him around. I wish I could go on vacation with you JB! They’re not going to listen. They will keep on following you because you’re so famous. You just need to stop listening to all of those bad people. There are so many people that love you a lot just like me and my friends. Just don’t read any of the magazines and newspapers. That’s what I do. I never read anything because I know it’ll just make me cry and it’s not true anyways. Don’t fight with anyone because that’s just what they want! Like, my Justin should just keep singing and being nice to all his fans because his true fans would never stab him in the back. I support you all the way JB! I wish the news people would see the real Justin Bieber for the person he is and not just lie about him all the time. I just can’t believe how people could be so cruel. My justin is strong though and he’ll make it through this. It’ll all be over soon once the people see how amazing Justin really is. Like I cry all the time just thinking about what my Justin is going through. I would take care of Justin if I could. Come to New York soon Justin, because I miss you soo much. You’re a good person and I know it. I’m going to tear any bad thing I read about you in the newspapers or magazines. Take care Justin and it’ll be alright soon I promise! I am dying inside because I keep looking at my Teen Vogue covers that are SO hot, I am just a giant ball of melted person. Justin Bieber looks amazing, as usual, but there is just something so sincere in his eyes that I can not help but fall in love all over again with him. Twice. Because there are two of them. Did I mention that? I actually had to explain to my parents why I needed both copies. Saying ‘because Justin Bieber is just that hot’ is apparently not a good enough reason to buy two copies of the same magazine. Basically, I am just told them that they are giving me the extra money for a poster because both of these super hot covers are up on my wall. Have you seen the double pouty face?! So so so hot. 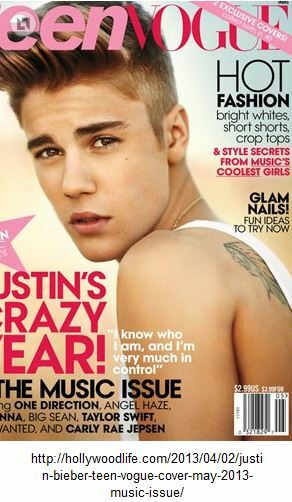 It’s also the Teen Vogue music issue so, I mean really, who else were they going to use on the cover? Justin Bieber has been the leader of the teen music scene for so long that I could not think of anyone better for the prestigious covers. Yes, of course there are others who many girls are equally obsessed with, but Justin Bieber totally deserves the honor based on seniority and hotness. Talent also goes a long way as he can actually play a ridiculous amount of instruments and supply vocals. 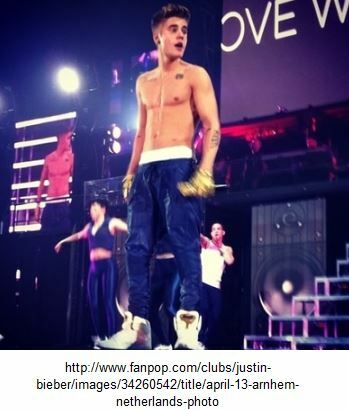 Plus, he is an amazing dancer so he puts on a great show every time he performs. I could not wait to read the actual content either! It is so nice that people are finally giving Justin Bieber a turn to tell his side of the story instead of listening to the paparazzi the whole time because that seems to be the only side of the story anyone is listening to these days. I think that when someone is acting uncharacteristically, they usually are trying to get your attention. If there is a problem, they act out so someone will listen. Some may see it as childish behavior but I see it as human. Anyway, he is finally getting a chance to say his piece so I am really looking forward to hearing about it and read it and tell all of you about it. I think if the people at Teen Vogue saw fit to give Justin two covers, then he is obviously still beloved since they hope his face will sell in double issue form. The fact that the cover promises that we will get to hear Justin’s side of the story is all the more reason to buy both copies. Reading both copies is like making Justin’s story twice as strong. I really hope that everyone buys both copies because the numbers will show the magazine people and all of the haters how much Justin Bieber still means to all of us and how true beliebers will always have his back no matter what. I know I still love Justin Bieber! What’s Better Than Justin Bieber & One Direction Being Besties?! NOTHING! My two favorite artists, One Direction and Justin Bieber, are becoming better friends by the day. One Direction first started the soon to be friendship by releasing statements on twitter saying the media should lay off Justin Bieber for all of his recent struggles. These defenses came from Louis Tomlinson and Zayn Malik of One Direction. This is great news for both One Direction and Justin Bieber. These are two great musical geniuses and to have them in each other’s lives is something they should both appreciate. Justin Bieber is a great friend to have, especially for a band like One Direction. One Direction can learn a lot from Justin because he has been in the music business a tad longer than the One Direction boys. On the other hand, it’s also good for Justin Bieber to have friends like One Direction. One Direction is a great group of boys and are very well respected. They are probably more respected than Justin Bieber. If Justin Bieber started to hang around with One Direction, a bunch of boys that the world loves and respects, then it would bring good publicity to Justin. Justin could even learn a thing or two from the One Direction boys. One Direction had recently done a bunch of charity work for the Comic Relief charity in Britain. They went to Africa to visit the Comic Relief children and help out with the charity. If Justin Bieber and One Direction started to become closer friends, it’s possible that One Direction could get him involved in their charity work. This is something that would be very beneficial to Justin Bieber. What brings a celebrity more positive press than helping out and donating to a charity such as Comic Relief? Not very much. Charity work is always looked at with positivity from the people of the press and the public. By being great friends with One Direction, Justin Bieber’s image would change drastically from what it has turned out to be today. He no longer has the cute little boy affect on people. 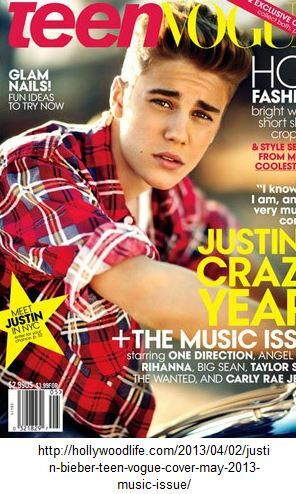 People now see him as the rebellious teenager, and that is not cute to anybody. Charity work would completely turn people’s opinions about Justin Bieber. What better band to help Justin get back in the good graces of the public than One Direction? I don’t know one possible one that would be better for Justin. If these tweets are any sign of a friendship between the two artists, it would be beneficial to both parties.